A lot of you have wondered about the mountain passes and what the weather will be like up there, especially as we head closer to winter break. 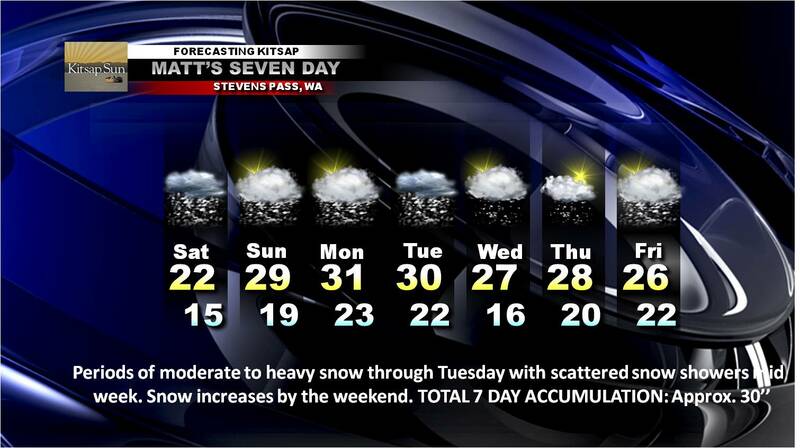 So why don’t we talk about one resort in particular today: Stevens Pass. That will be the day when I can create a forecast like that for the lowlands! 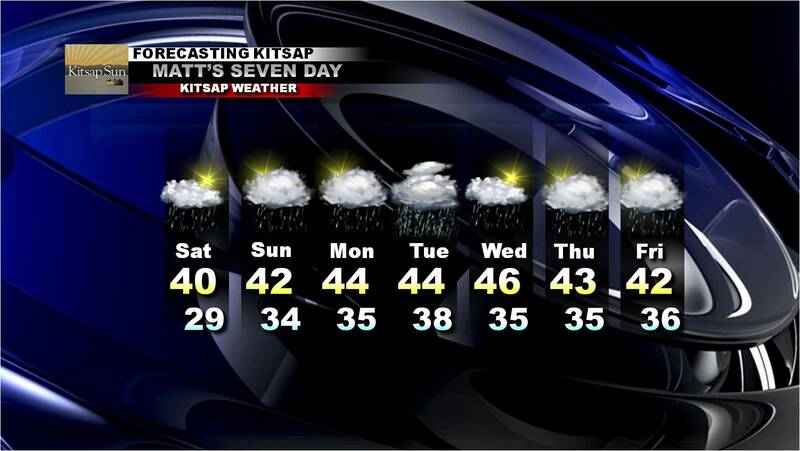 As you can see, we won’t be suffering from any shortage of snow through the next week or couple weeks for that matter. 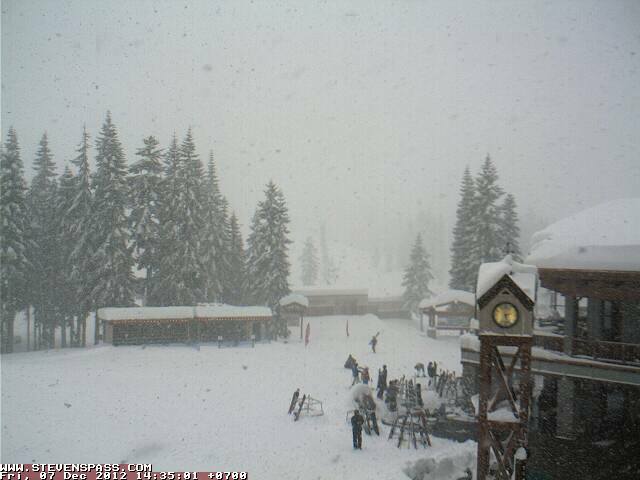 If you want a White Christmas, there’s a 100% chance of it in the mountains! And that’s even greater news, because all of you who put “snowboard” or “skis” on your holiday wishlist will get to put it to great use! …and then there’s the lowlands 🙂 No snow down here (except for the high hills east of Seattle! ), but it’ll definitely feel seasonably chilly. Highs are only expected to make it to the low 40s at best tomorrow. Expect the next round of real steady rain to move through Tuesday, and then from there we’ll be facing more showers than steady, all day rain. Highs will be in the low to mid 40s.